On our recent trip to Scotland, we got the chance to meet with some distant Moffat cousins. 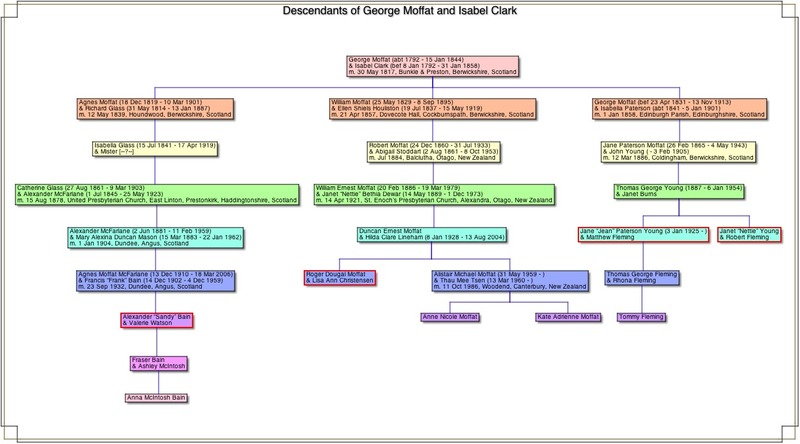 They are descendants of two siblings of "my" William Moffat who married Ellen Houliston and came to New Zealand in 1860. Sandy Bain is descended from Agnes - William's oldest sister, and lives in Dundee, Scotland. Jean and Nettie Young are sisters (who married two Fleming brothers) who are descended from George Moffat who was two years younger than "our" William. They both live near Morebattle, Roxburghshire, Scotland. So here are a chart showing the relationships between all of us, and a few pictures. Click chart to see a larger version of it. Note that Sandy is 58 and in the same generation as my neices Anne and Kate, and shortly before we met him, his first grandchild was born. The boxes with bold red borders are for those included in the photos. 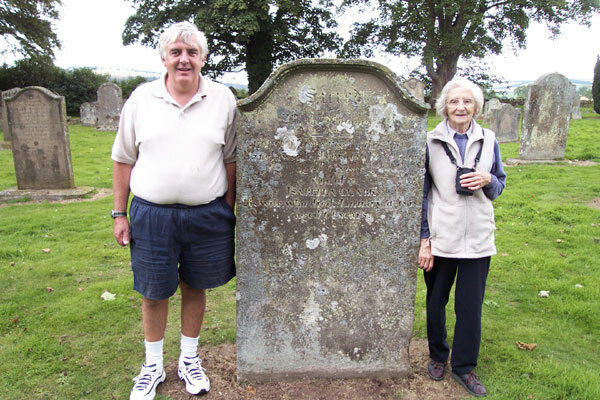 Jean directed us to an olde Kirk yard (Preston, Berwickshire, Scotland) we'd been to before to see the stone of George Moffat and Isabel Clark my great great great grandparents. We had missed this stone on our visit in 2000. 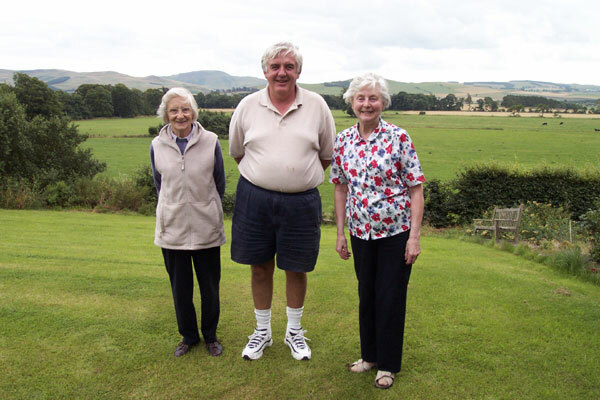 Jean, Roger and Nettie at the farm where Nettie and her husband live near Morebattle, Roxburghshire, Scotland. 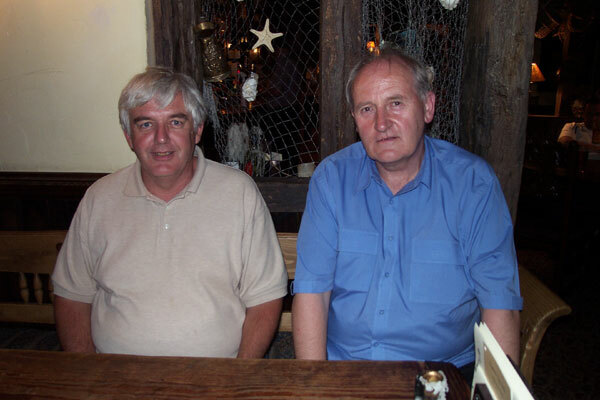 Roger and Sandy after dinner on Wednesday evening in Dundee, Angus, Scotland. 1,499 Cousins have come this way.